Accuracy and precision when aiming in PUBG can make the difference between glory and defeat. With a myriad of gaming mice on the market, finding the best mouse for PUBG is no easy task. Thankfully for all you PUBG players out there we’ve analyzed the top mice used by professional PUBG players around the world (click here to see our list of PUBG Pro Settings and Gear) and put them to the test. Below is our list of the top five best mice for PUBG used by the pros. Hopefully this list can help you find the best mouse for you and get you on your way to eating more chicken dinners! What makes a mouse good for PUBG? PUBG is, as far as Battle Royale games go, one of the most straightforward games of the bunch. It’s first person, doesn’t feature any abilities or other wacky stuff, movement is pretty realistic, … Because of the fact that you can’t build or fly your way out of trouble your aim is going to be one of the most significant factors in winning fights, and as a result of that you’ll need a solid, dependable mouse which doesn’t necessarily need too many extra frills. We recommend to go for a reliable, well built mouse with a good sensor and, perhaps most importantly, a nice and comfortable feeling in your hand. 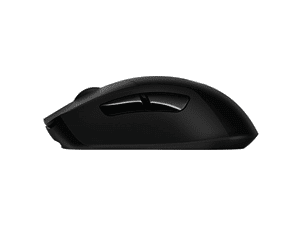 The professionals seem to agree with that, with most of these mice featuring little to no extra buttons or other special functions, and some of these mice are universally lauded for their top shape. 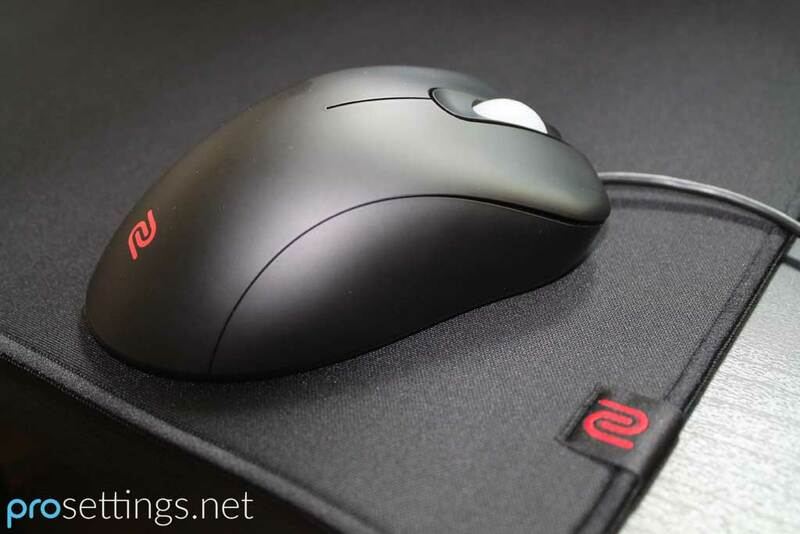 Lots of PUBG pros have come from CSGO, so perhaps it’s not that surprising that Zowie’s widely lauded EC shape is a staple on many pro desks, though the G Pro Wireless has taken over the crown these days. Not that long ago you wouldn’t even be taken seriously if you took a wireless mouse to a LAN party or a tournament, but those days are over. Logitech has developed their LIGHTSPEED technology to be every bit as fast (and in some cases even faster) than wired mice, and that’s something that deserves praise. 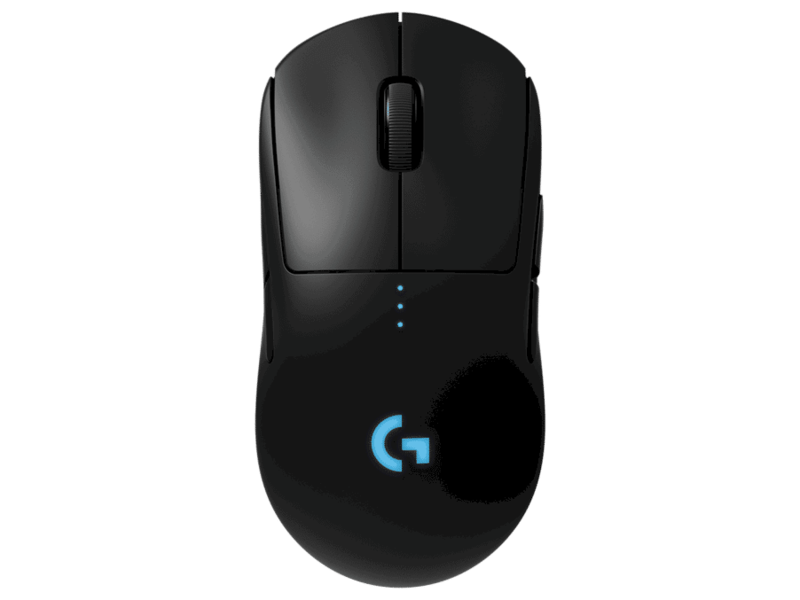 The G Pro Wireless also features a rechargeable battery and a lifespan of around 50 hours of gaming, meaning that you can go on seriously unhealthy gaming binges before ever needing to recharge the mouse. Great wireless technology wouldn’t be worth anything if the mouse itself was a piece of garbage, but that’s not the case with the G Pro Wireless. It features Logitech’s flawless HERO sensor (which is an in-house version of the 3366), configurable side buttons, Omron switches, a comfortably and safe ambidextrous shape, and a weight of just 80 grams. Those would be top specs even if the mouse came with a wire. Going wireless isn’t for everyone; some people don’t need it or just want to stick to cables, but if you’re open to it we do encourage you to try it out. There are tons of great cables out there (in fact there’s a whole aftermarket dedicated to mouse cables) but none of them beat the freedom of having no cable at all. If you want to try out wireless then this is the mouse to go for. It’s got a great and safe ambidextrous shape and packs top internals as well, so even if you don’t care about the whole wireless thing this is still a really nice option. 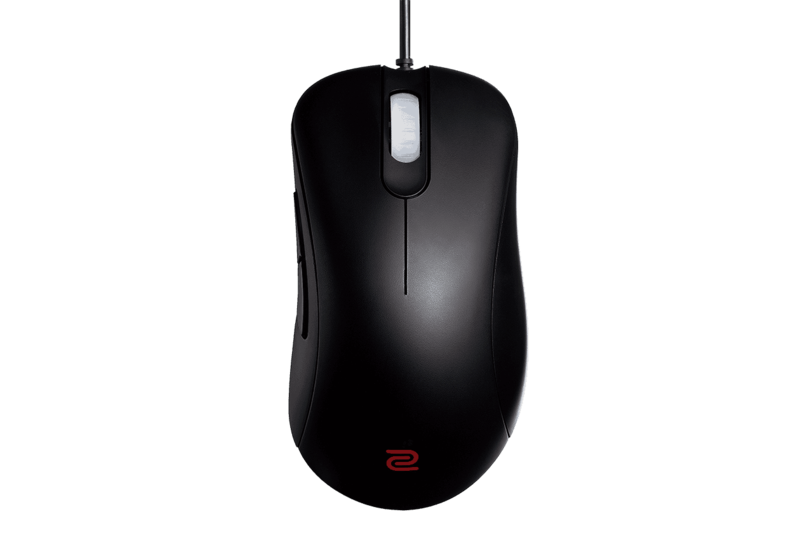 The Zowie EC series was particularly designed for first person shooters, and in particular for Counter-Strike. The ‘EC’ in the name stands for ‘Emil Christensen,’ better known as HeatoN, former Ninjas in Pyjamas CS professional. 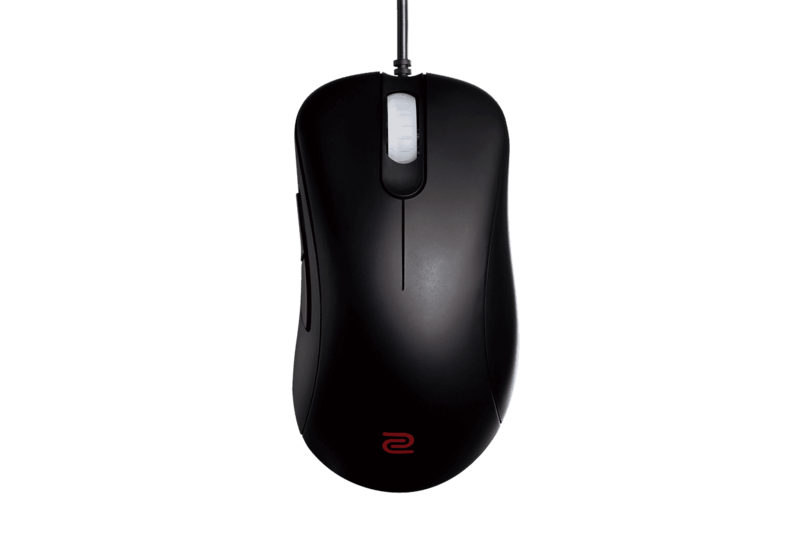 Zowie teamed up with HeatoN to design the perfect CS mouse and they came up with the EC series of mice. The EC series might have been designed with CS in the back of the mind, but that doesn’t mean that you can only use the EC1-A for Counter-Strike. 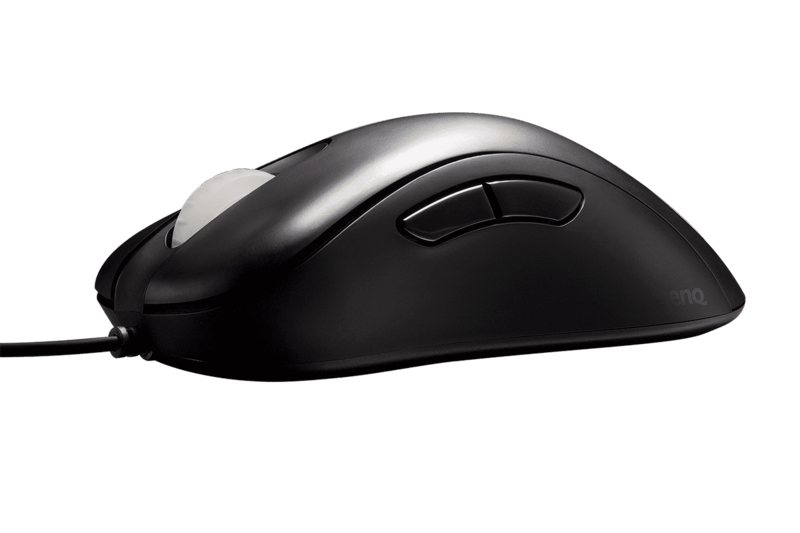 Aside from being an absolutely amazing mouse in its own right (click here to check our review of its smaller brother, the EC2-A) PUBG does share a lot of similarities with CSGO when it comes to overall gameplay, so don’t let our little fun fact distract you. The EC1-A features the 3310 sensor, which is still a super capable sensor despite its age. It’s got Huano switches, a super flexible cable, and a nicely distributed weight of 99 grams. If that weight puts you off then you can always take a look at the smaller version of this mouse, the EC2-A, which comes in at around 92 grams. The EC1-A (and the EC series in general) have always been lauded as great gaming mice in general, and if you look at the spec sheet of these mice you can already tell why, but by far the most impressive and talked about aspect of this series of mice is the amazing shape. Zowie mice have always been playing in the top leagues when it comes to shape, and the EC series seems to be the MVP. The shape feels really good for almost all grip types, and it’s hard to describe just what makes the shape so good. Every angle of every curve just seems to be designed precisely to give you the most comfort possible, and while there are definitely other mice which come (very) close in terms of comfort, the EC series still has arguably the best shape of them all. The EC1-A features top of the line internals (if you desperately want a 3360 sensor then you can go for the EC1-B, which has the same shape and a 3360 sensor), a very nice and flexible cable, and has arguably the best shape on the market. The mouse is plug-and-play so you can just buy the thing, plug it in, and get to fragging out in supreme comfort. The EC2-A is the exact same mouse as the EC1-A. The only difference is in the size and weight. The 1-A is 3mm (0.11 inches) higher, and 3mm broader at the front and middle, though the bottom part of the mouse is 5mm (0.19 inches) broader. If you like what you’re reading about the EC1-A but you feel like it might be a bit too large or heavy for you then you can just go for the 2-A, which is about 7 grams lighter than the 1-A as well. As a small sidenote: the EC series of mice have had an update (the EC1-B and the EC2-B) some time ago, where (most notably) the sensor was upgraded to the 3360, among other things. If you want to know the difference and whether or not the update is worth it you can always check out our review on the EC2-B. Ah, Razer… One of the original gaming brands, Razer was once a pretty dividing company. For a while it seemed like everyone was either a very big fan of Razer or completely against the company. Whatever your thoughts on the company may be, there is no denying that Razer produce some top quality gaming mice. The DeathAdder has been going strong since 2006, and the fact that one mouse (it has of course seen upgrades and different versions throughout the years) has been keeping it up for over a decade now is a pretty strong testament to its quality. The DeathAdder itself might nearly be of drinking age in some countries, but that doesn’t mean that it can’t roll with the big boys. 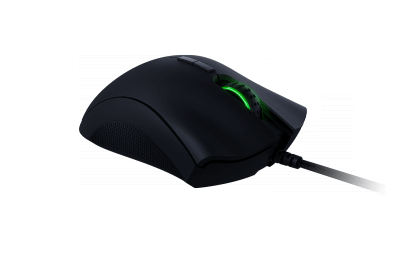 The Elite is the latest release in the long line of DeathAdders, and features Razer’s own version of the flawless 3360 sensor, as well as proprietary switches which have been co-designed with Omron. 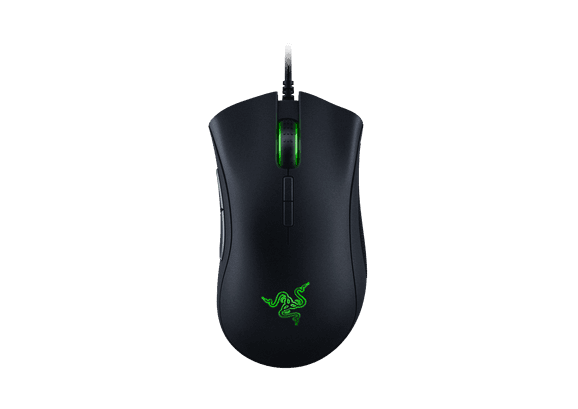 We all know what the 3360 is capable of, and it seems like Razer has implemented it perfectly in the latest version of the famous DeathAdder. Quality internals don’t mean jack if the mouse handles like a brick, but luckily Razer has decades of experience to rely on, and as such the DeathAdder feels great. It’s a pretty safe ergonomic shape and should work for most grip types. It’s a bit large and weighty though, coming in at 98 grams. That still puts it below the magical 100 grams mark that everyone seems to want, so it’s definitely not a heavy mouse at all, though due to its size users with small hands or users who prefer ultra light mice should be wary. All in all the DeathAdder elite is a top mouse, so if you have larger hands or prefer larger and slightly heavier mice (again, 98 grams isn’t heavy by any means) you should definitely take a look at this one, but it can be a good fit for nearly every player. 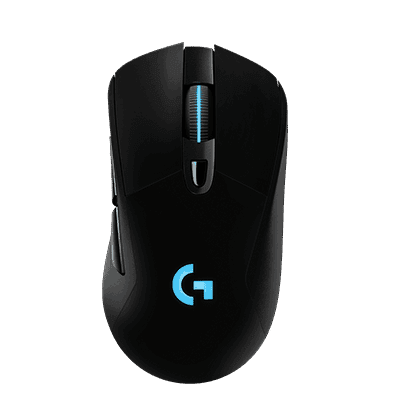 The Logitech G703 is the wireless version of the older G403. 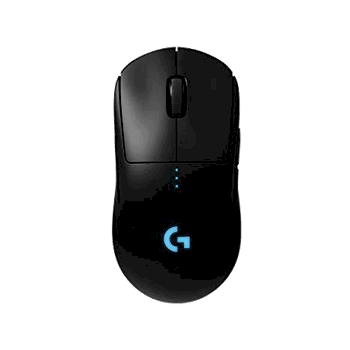 It’s also packing Logitech LIGHTSPEED technology, which means that it’ll translate your movements and clicks almost instantly, sometimes doing so even faster than other wired mice would. This is a very impressive feat, and is a welcome change to this shape, since the G403 originally came with a rather stiff braided cable. The G703 has an ergonomic shape, which seems to be hit or miss for a lot of people. It’s got a rather pronounced hump to it which doesn’t really sit well with some people, but if you like this sort of palm filling feeling with an ergonomic mouse the G703 is going to serve you really nicely. Contrary to the newer G Pro Wireless, the G703 has the 3366 sensor in it. This is an older sensor, in the sense that it’s the baseline upon which Logitech has built their HERO sensor, but it is also a flawless sensor. One of the major differences here is that it draws more power than the newer HERO, so you’ll have to charge the G703 a bit more often, with a battery life of around 24 hours. Aside from that the G703 has Omron switches, a nice scroll wheel, and a DPI button on the top of the shell (which is something that the G Pro Wireless lacks) so it’s definitely a full-featured gaming mouse. If you’re looking to go wireless but you want a bit more heft and shape to your mouse this could be it. The G703 weighs in at around 100 grams (but feels lighter due to the fact that it’s wireless) and is larger than the G Pro Wireless, so this could be your bet if you’re looking for something a bit more substantial. PUBG is a fairly simple game by design. You don’t have a lot of extra stuff to do besides walking or driving around and shooting other people. As such you don’t need a very heavily customizable or feature-rich mouse, and that’s reflected in the choices of our pros. All of the mice in our top 5 are pretty standard ‘run of the mill’ gaming mice, in the sense that they don’t include extra buttons, switches, or useless (for PUBG) features. As always it’s important to take these sorts of lists with a grain of salt. What works for one person might not work for you. So take this list as a guideline, and feel free to experiment and look around elsewhere on our website. Finding the right mouse can be a very long and exhausting journey, but we hope this list has at least helped you a bit. Good luck out there and thanks for reading!